Automatic account booking easy to review and to match directly with bank transactions imported seamlessly with Transfact’s integrated Bank-interfaces. The Transfact Finance Module provides an ideal interface to your accounting system to fulfil your company’s tax obligations, while automatically doing most of the hard accounting work for you on daily tasks. Full account booking, liquidity planning features, integrated bank interfaces and summary reports for accounts payable and accounts receivable, are some of the functionalities that the Transfact Finance Module provides for your company out of the box. The Transfact Bank Interface can import all your bank statements directly into the system and automatically match most transactions with their corresponding booking within the system. The Transfact Bank interface can also perform transactions for you. This way you can easily pay your suppliers and even handle automatic withdrawals for customers with subscription contracts. 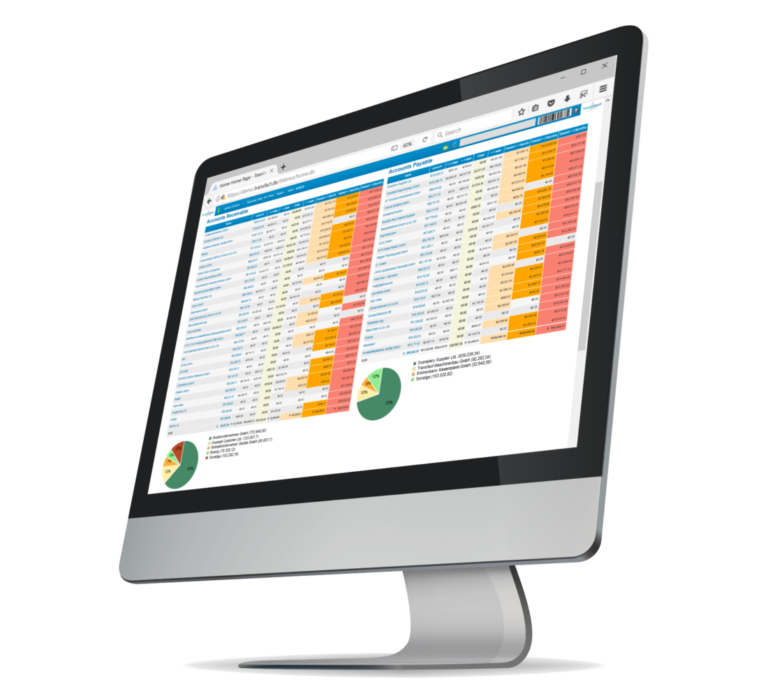 Have all invoices, contracts, purchase orders and subscription information summarised into the Liquidity Planning Reports, which allow you to plan ahead and help you making decisions at the right time. 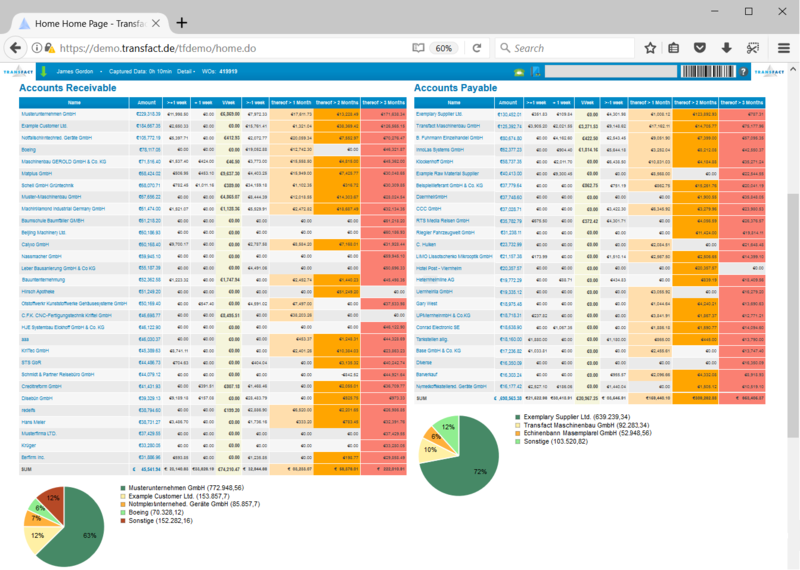 The Transfact open accounts overview provides a quick view to the overall status of your finances. 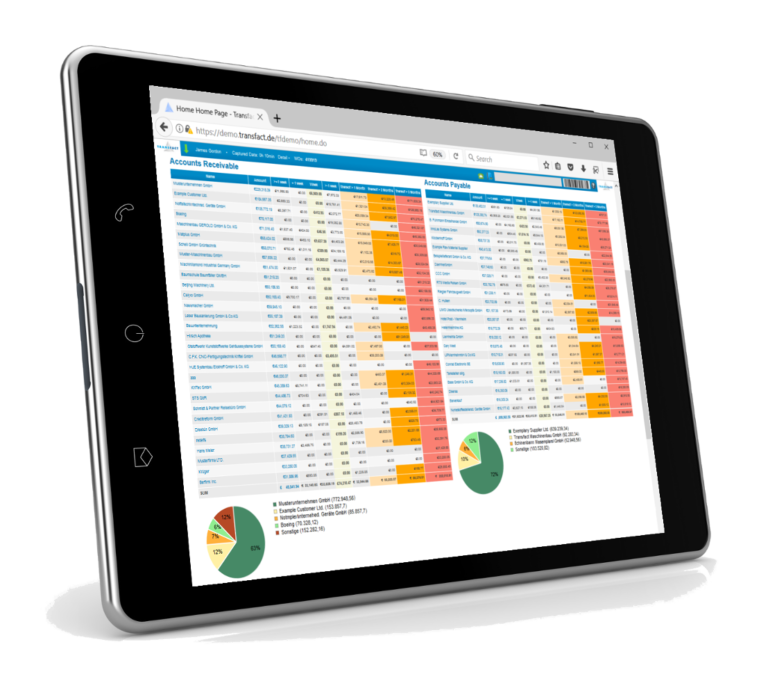 Review your accounts receivable and accounts payable at a glance, with all detailed information available with just a click. The Creditreform interface allows you to download credit reports directly into the system and store them for future reference. Credit checks help you be better informed when dealing with new potential partners. The DATEV interface allows you to import and export all your bookings and seamlessly synchronize your Transfact ERP System with your accounting system, saving you valuable time. 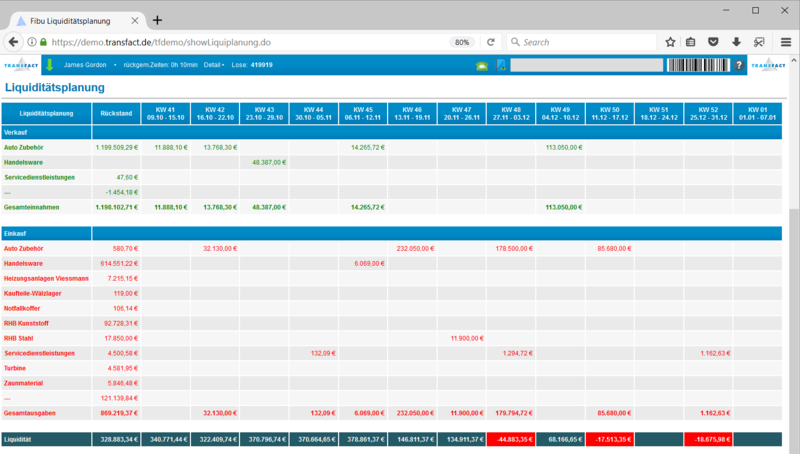 Keep track of your cash flow and view the future liquidity of your company through. Automatically generated tables by month, week or even daily. The Transfact system combines purchasing and sales contracts and orders to provide you with a comprehensive view of your future liquidity. Decide which delay period might be ignored for sales invoices or stretched for purchasing invoices to obtain different scenarios. Secure Bank interfaces allow you to retrieve your statements and directly match each transaction with an invoice in the Transfact ERP System. Match transactions automatically when the reference number is entered to any transaction. The Transfact Bank Statement Integration makes it easier for you to track accounts payable and receivable, since invoices are automatically marked as payed when you confirm the match. One click and all are your year bookings are ready to be submitted to your accountant for year closing. 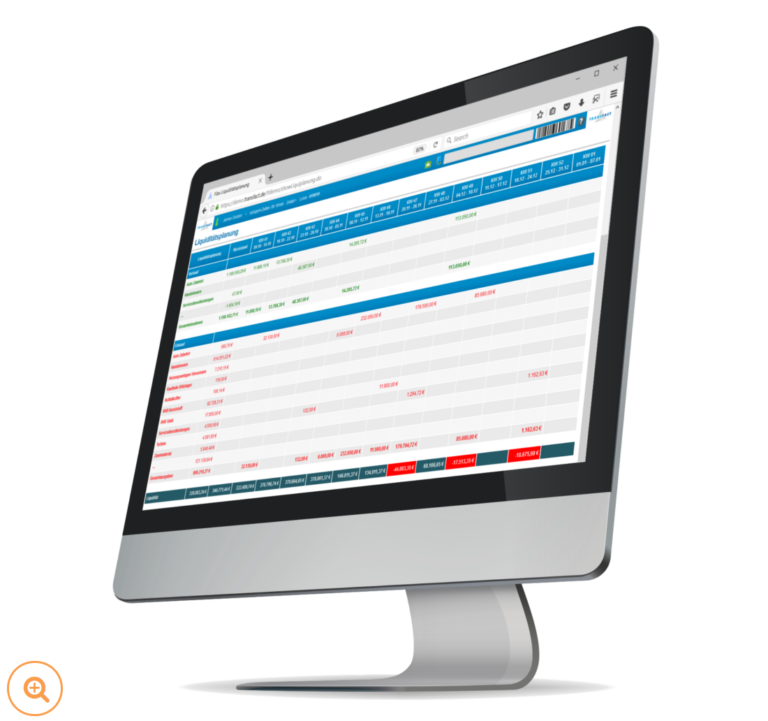 The Transfact Finance Module makes this possible by automatically tracking each sales order and purchase order position into the right accounts each time. Set up your booking accounts individually as needed, but make use of our pre-loaded accounting systems and let the system take care of the rest. 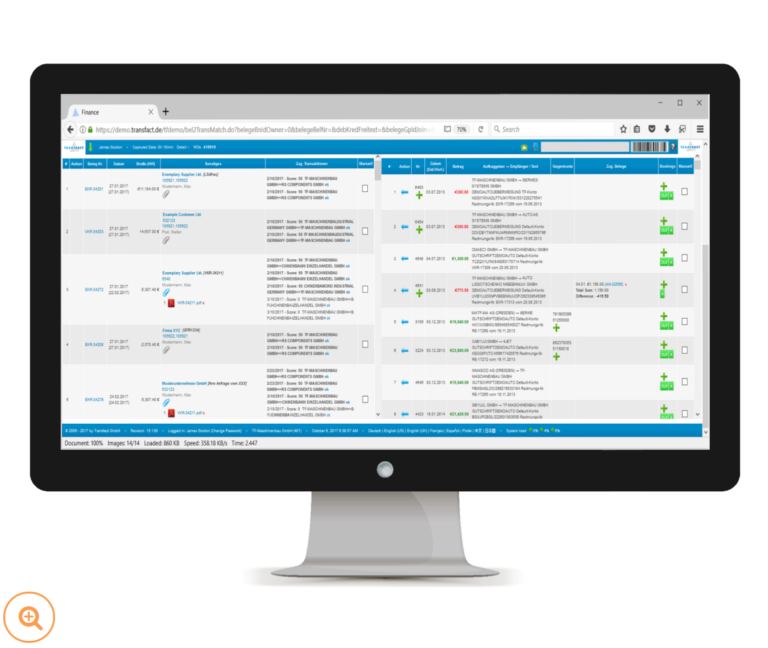 Imagine opening the System in your browser and immediately being able to see in one single screen the current status of your accounts payable and receivable, this is exactly what the Transfact management home page allows you to do. Color coded tables that show up to date values classified by their due date. See the distribution among customers or suppliers within the table and with summarised pie-charts. 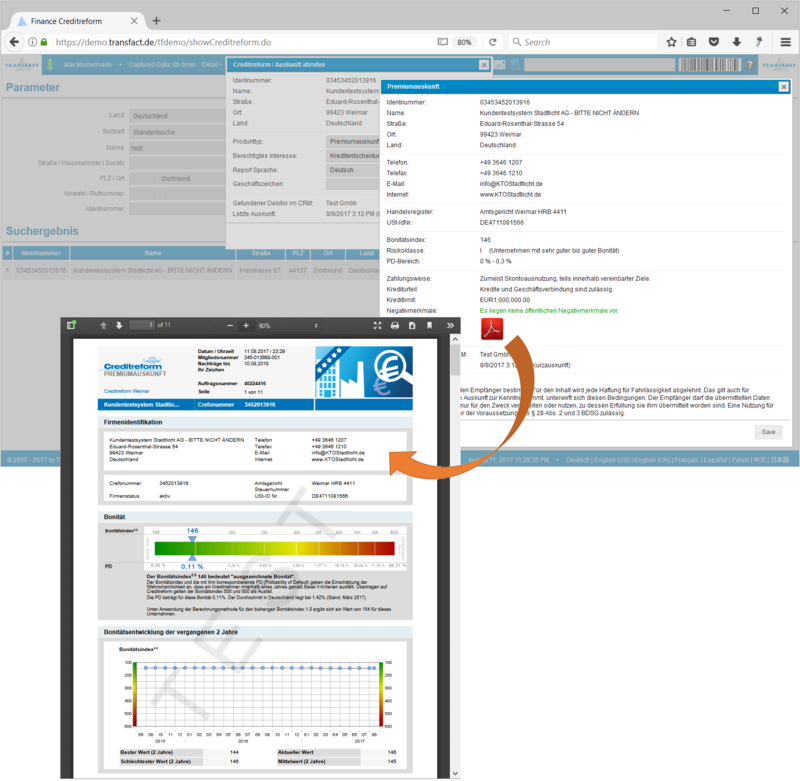 Full integration with the Creditreform services to get the credit reports you need directly into the Transfact ERP System. Check and download the Creditreform report for leads and new contacts with just a few clicks. Pay Creditreform for each Report only once and keep it stored in the system for future references.